In January 2010, Harman’s AKG brand received a Technical GRAMMY Award during the 52nd Annual GRAMMY® Week festivities in Los Angeles. The GRAMMY recognizes AKG’s contributions to the art and science of music recording and performance through innovation and excellence in product design. The only other Technical GRAMMY Award winner in 2010 was presented posthumously to Thomas Edison, inventor of the phonograph, early motion picture technologies and the incandescent light bulb. AKG microphones and headphones have a long history on tour and in studio with international musicians ranging from Frank Sinatra, Aerosmith, Peter Gabriel, Eric Clapton, Stevie Wonder, and the Rolling Stones to contemporary artists like Jay Z, Missy Elliot, Eros Ramazotti, Simply Red, and Kanye West. AKG products have provided great sounding technologies to support the most demanding and creative projects. Music empresario Quincy Jones used AKG equipment to produce some of his most famous albums and recordings, including the "We Are the World" famine relief song of the 1980's. Since its origins in 1947, AKG's role has expanded beyond the music studio and performance stage to newsrooms, Hollywood film sets, and even outer space. For decades, AKG equipment has been used by the broadcasters such as the BBC, has brought the world the exciting sounds of sporting events such as the Olympics and the FIFA World Cup, and has taken flight to the stars on board the space station MIR. 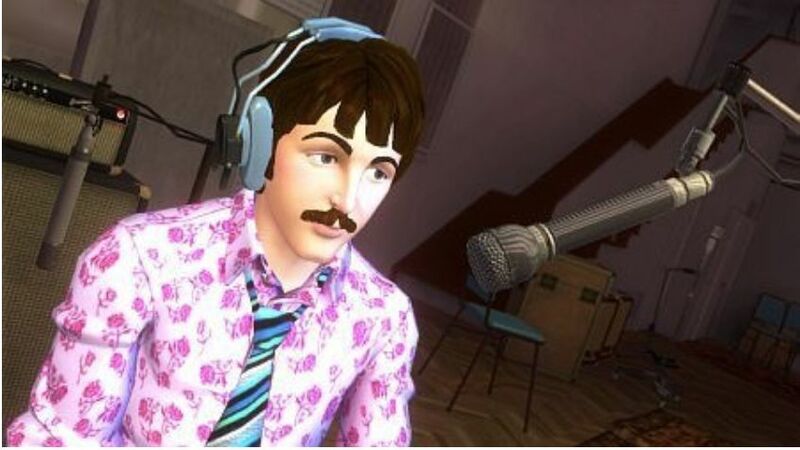 In 2009, AKG's contributions to pop music were highlighted in the game Rock Band: The Beatles. The game features images of classic AKG equipment that was actually used in such venues as The Beatles performances at Shea Stadium in the 1960s, and in their Abbey Road studio recordings. Neil Portnow, president and CEO of the Recording Academy commented on the award winners, noting, "Their outstanding accomplishments and passion for their craft have created a timeless legacy that has positively affected multiple generations and will continue to influence generations to come." 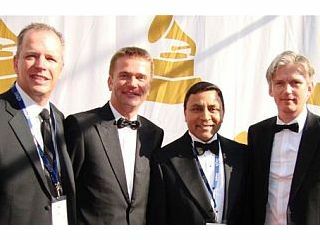 The Recording Academy presented Harman's JBL brand with a Technical Grammy® Award at a special ceremony held February 13, 2005 in recognition of a lasting contribution to culture around the world. 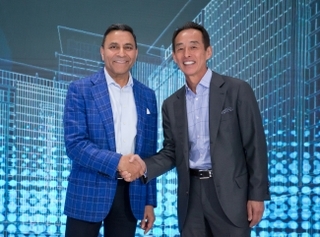 Founded by James B. Lansing in 1946, JBL has dedicated itself to advancing the state-of-the-art in a broad range of entertainment technology, including music recording. 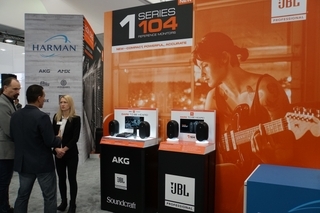 JBL has been preeminent in high-end loudspeaker technology for all facets of professional sound. As broadcast, recording and motion pictures entered the stereo era in the early '50s, JBL was there with the world's first 4-inch voice coil cone drivers and commercially available compression drivers. As the rock movement gathered momentum during the late '60s, JBL eventually became the preferred manufacturer for both musical instrument loudspeakers as well as music reinforcement activities. JBL loudspeakers have provided the sounds of many important moments in history, including the Woodstock rock festival, Olympic Games, and presidential inaugurations. 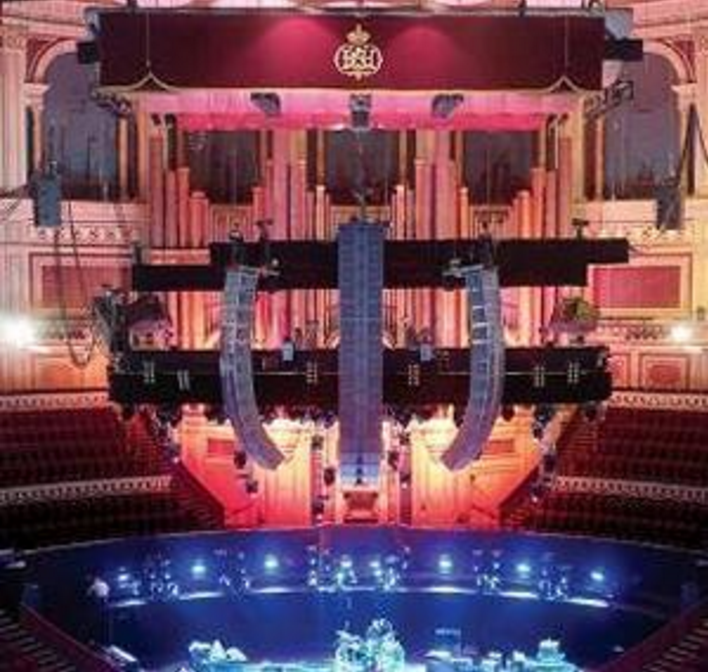 In recent years, JBL's introduction of VERTEC™ line array systems has been heralded as the leading edge in array technology and system synthesis, and has been the sound reinforcement system of choice for the Academy Awards (the "Oscars"), the Miss Universe pageant, and of course, the GRAMMY Awards show and telecast.